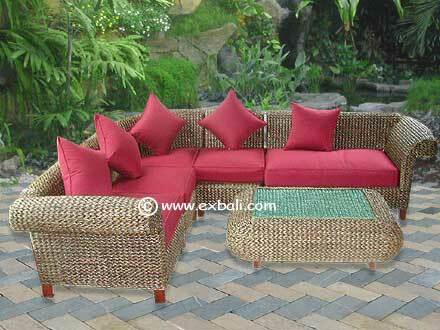 Crafted from various organic materials including Banana Leaf, Water Hyacinth, Sea Grass, Rattan and or combinations of these fibers, woven Bali furniture products have a unique look with textures that create comfortable durable furniture and accessories. 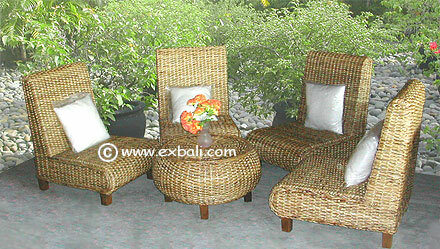 Woven furniture can be made from either Banana Leaf , Water Hyacinth , Sea Grass, Rattan or a mixture of any of the above. 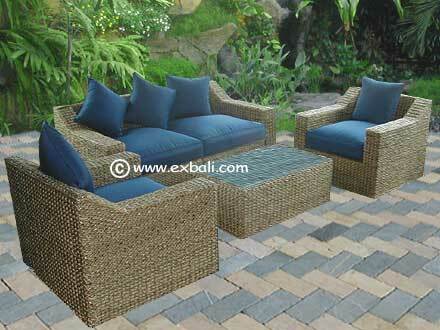 Supplied w/ Cushions and Pillows. 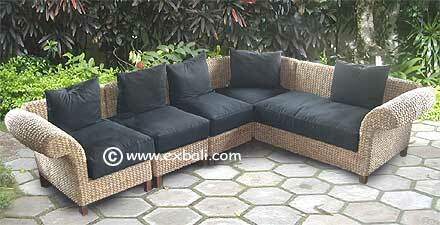 CORNER SUITE ' Light Antique"
Banana , Water Hyacinth , Sea Grass , Rattan or a mixture of any of the above. CORNER SUITE " Natural "